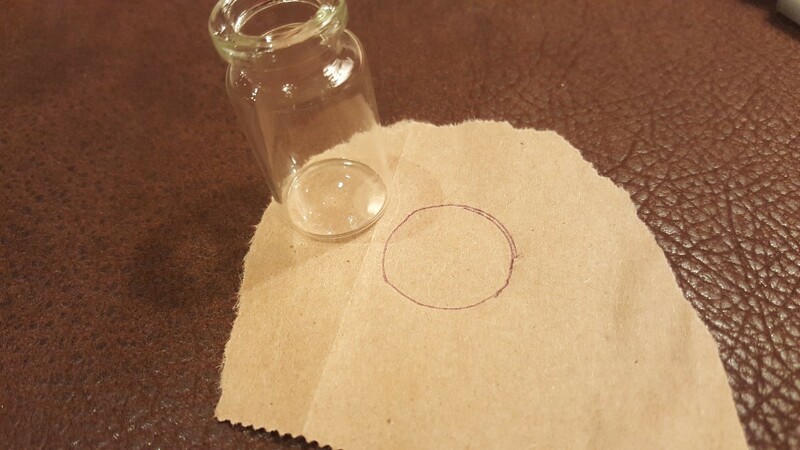 Trace a circle of paper with the bottom of your bottle. Cut the circle a bit smaller, so that it fits inside easily. 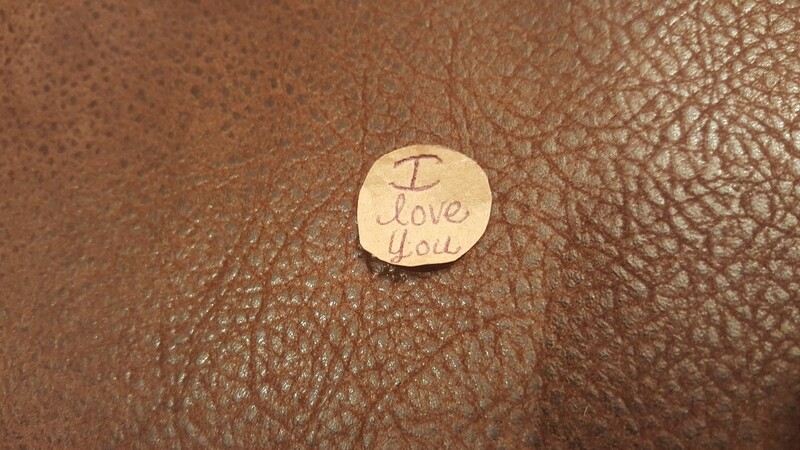 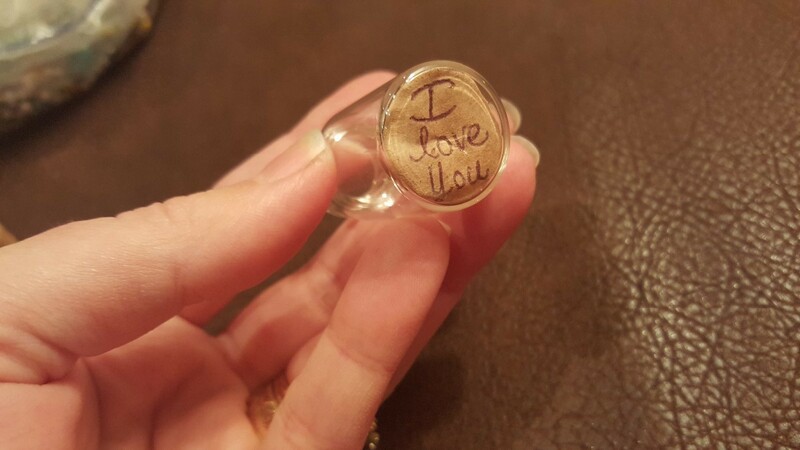 Write your message, poke your circle down to the bottom of the bottle with the end of a pen. 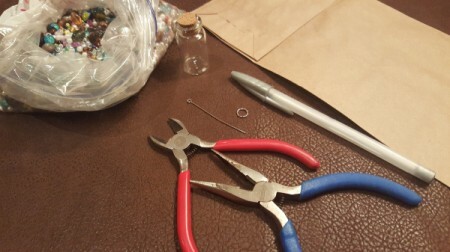 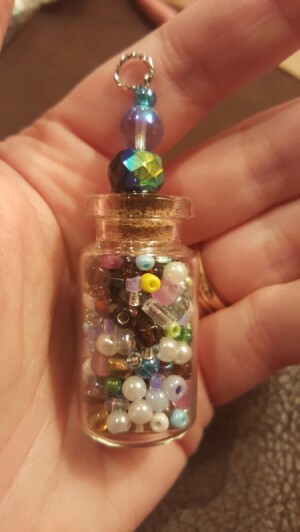 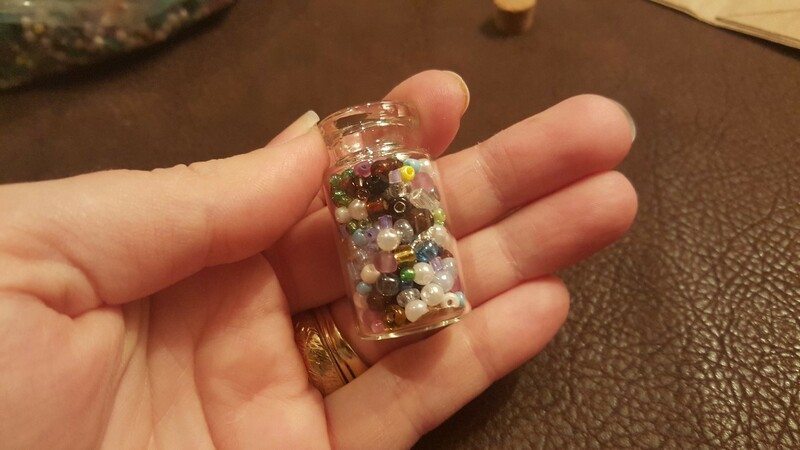 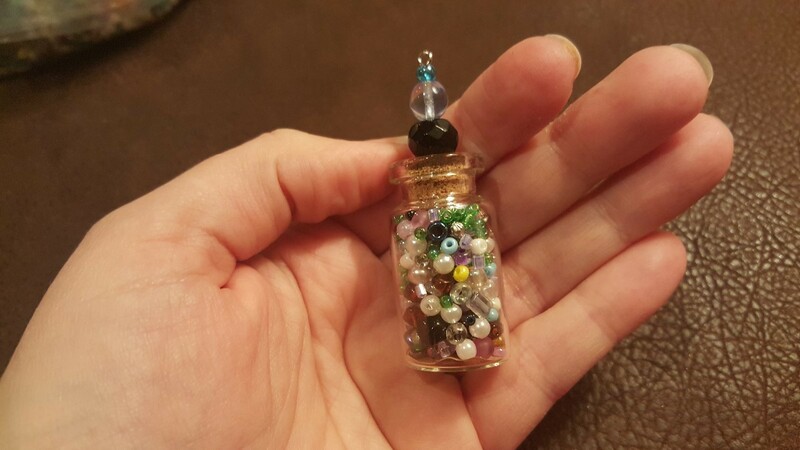 Fill your bottle with seed beads. 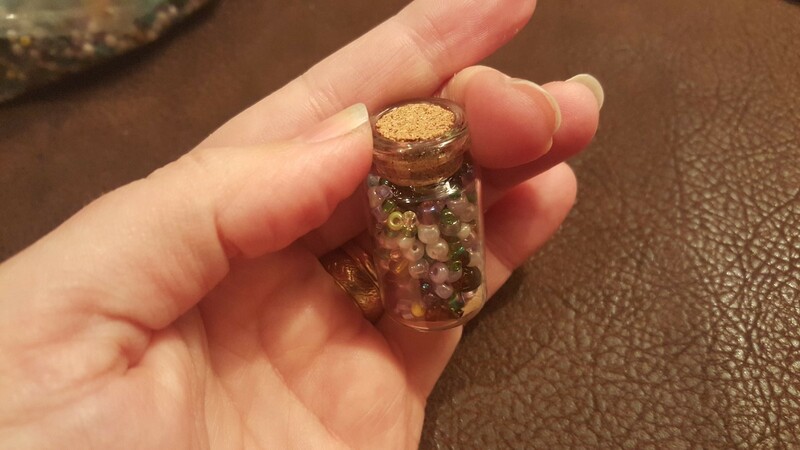 Push your cork top in securely. 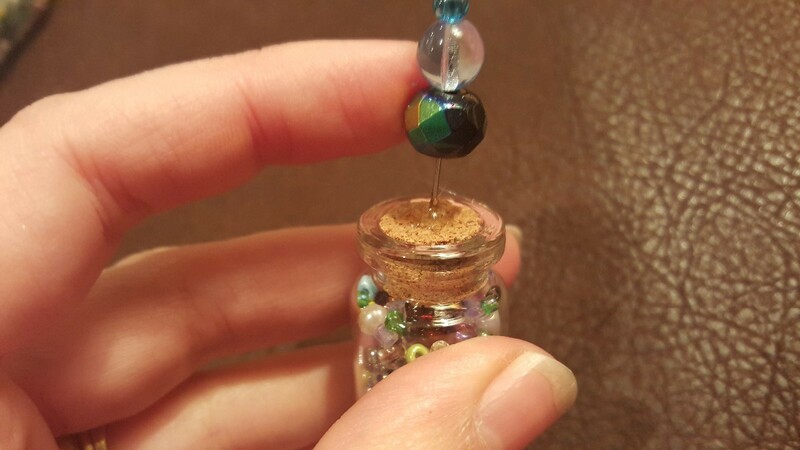 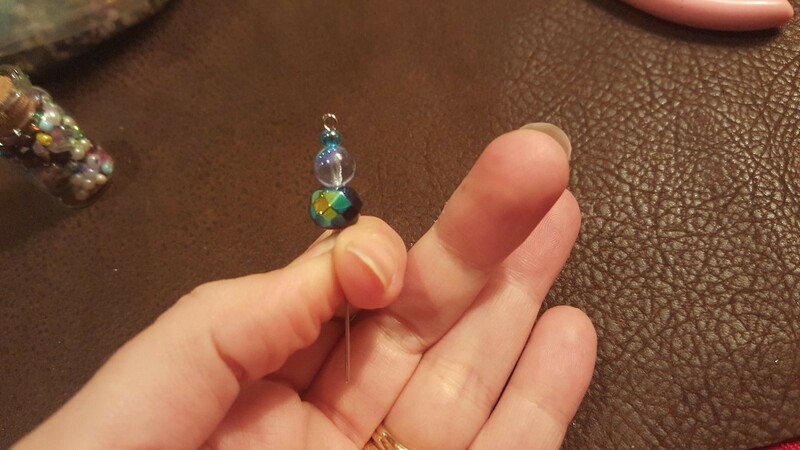 Thread a few beads onto your head pin, place a bit of jewelry glue in the center of the cork top. 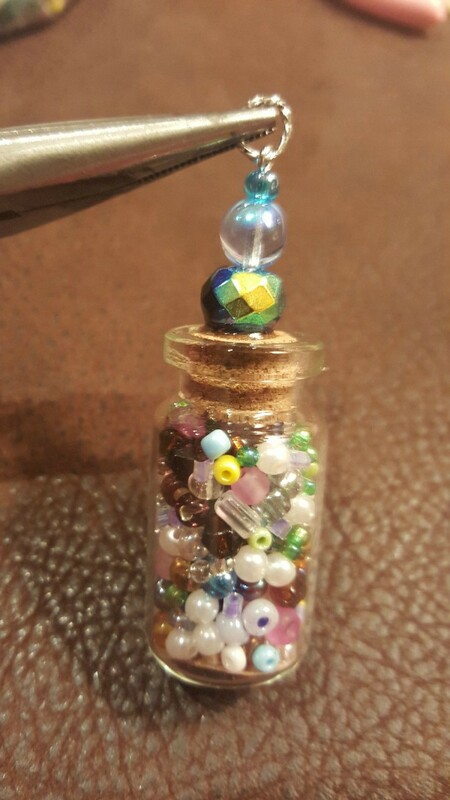 Push your head pin all the way down into the center of your bottle.